Growing up, my family always had a vegetable plot and flower beds, and my father taught me pretty much everything I know about gardening. I still find it miraculous that you can bury a tiny seed in the soil, and a few weeks or months later it will have sprouted, sent out leaves and stems, buds and blossoms and, ultimately, fruit. It still amazes me that you can buy a flat of tomato plants for a few dollars and harvest more tomatoes than you can give away. I’ll have a lot more to say on the subject come spring, but this afternoon, after watching my 2 year-old son pop cherry tomatoes in his mouth as quickly as I could pluck them off the vine, we went out on our terrace and picked some sun-warmed figs right off the tree. He loves that and so do I, and I wanted to share a bit of figgy information. Not many Americans, I think, grow their own, but figs are very popular in home gardens in the UK and across Europe. Even if you live in the north and think figs won’t make it there, think again. There are cold-resistant varieties available. Mine is a variety called Bornholm’s Diamond, which can be grown in a sunny and protected location as far north as growing zone 6. 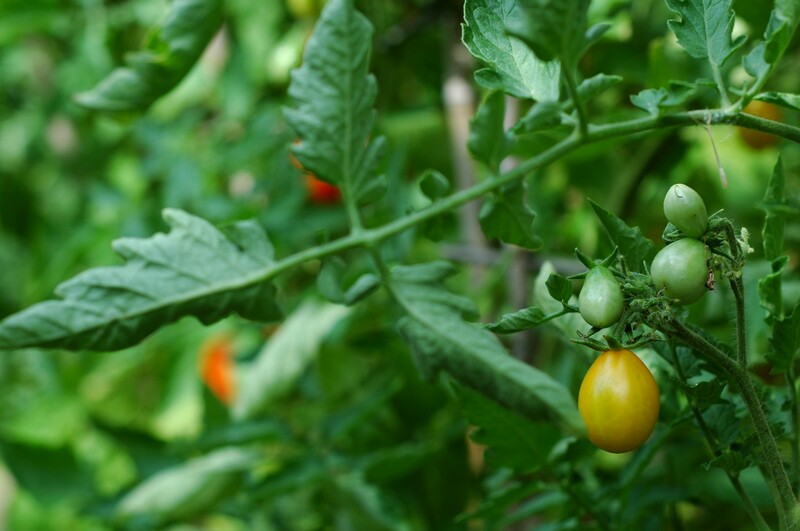 Ours is in a container on the terrace, and it looks like we’ll get about a dozen ripe fruits this year. That’s not bad, since I just bought it last fall at the end of the growing season, and it’s shot up about 18 inches (45 cm) this summer. 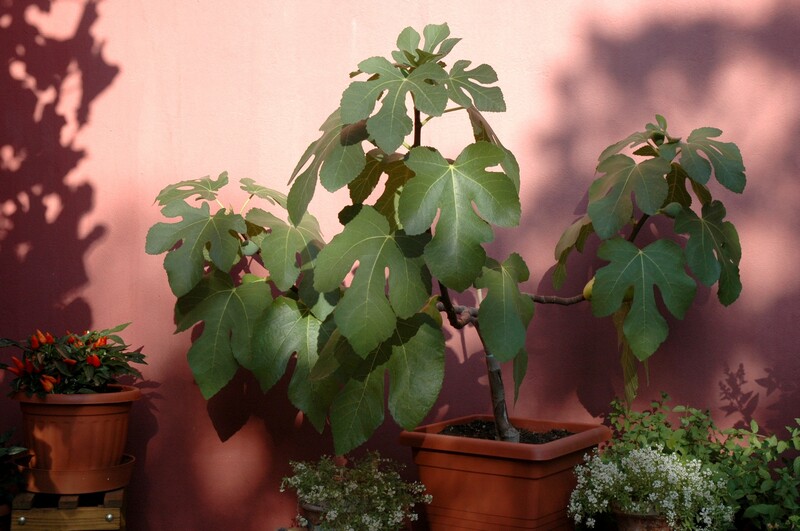 Figs are great for patios, terraces, even smallish balconies in the city, since they do best when their roots are constrained, making them perfect for pots. If you’ve never considered figs, give them a shot – they look great, taste amazing, and in a pinch their leaves make handy loin covers. Ours was in a southern window for winter and has new growth below and on top. I wonder if we should pinch the top growth to encourage lower growth and bushiness. Any ideas? I don’t know for sure, but I imagine you could. I’ve read that you can cut a fig right back to the ground and it will regrow. Ours is looking a bit spindly as well, but as tiny figs have already started to develop I don’t want to cut it back. We’re moving anyway, and our neighbor is going to inherit this one. Breaks my heart, but at least I know it will have a good home. Your article brought back memories of days in the garden with my dad 🙂 I think it is so great that you are teaching your son about gardening so he can appreciate it first hand. I have the fondest memories of gardening with my dad. I feel that that sense of self-reliance is one of the most important things we can impart to our kids. I’m looking into home gardening movements and seeing if I can do something in my local community. Thanks for the comments! 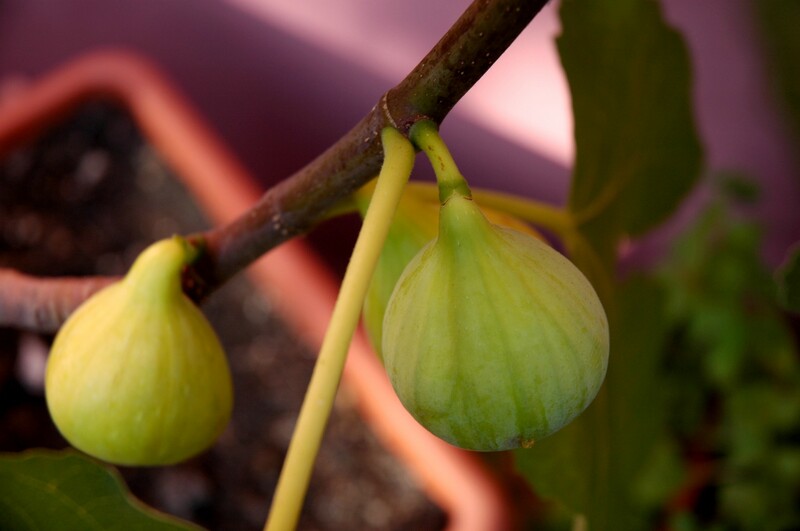 I tried fresh figs for the first time yesterday, so I’ve gotten even more curious about growing one of these, but live in an apartment…so really glad to hear they do so well in pots! I did some research, and apparently there are a couple varieties that are able to tolerate zone 5 weather such as “Hardy Chicago” fig. Thanks for the info, Linda. The only problem, I think, with northern-grown figs is the shorter growing season – the fruit just doesn’t have long enough to mature. 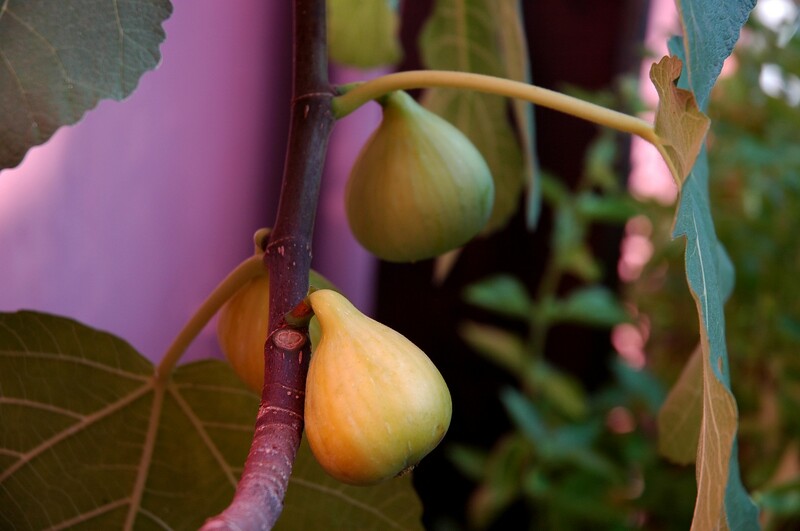 Figs in warmer climes actually provide two harvests, one mid-to-late summer and one autumn. I’m only going to get one crop, but the fruit is so sweet and juicy I wouldn’t miss it. Pick a few figs, quarter them and put them on a plate with arugula, prosciutto and goat cheese, and drizzle with a thick balsamic reduction, and you’re in heaven. Yeah, the only good thing about Chicago Hardy is that they will produce on new growth if the old growth is killed from the harsh winter. I’ll probably grow a couple in a pot when I get more room, just to be on the safe side.